I have been busy over the past few months working on my new book, which will be my fourth. 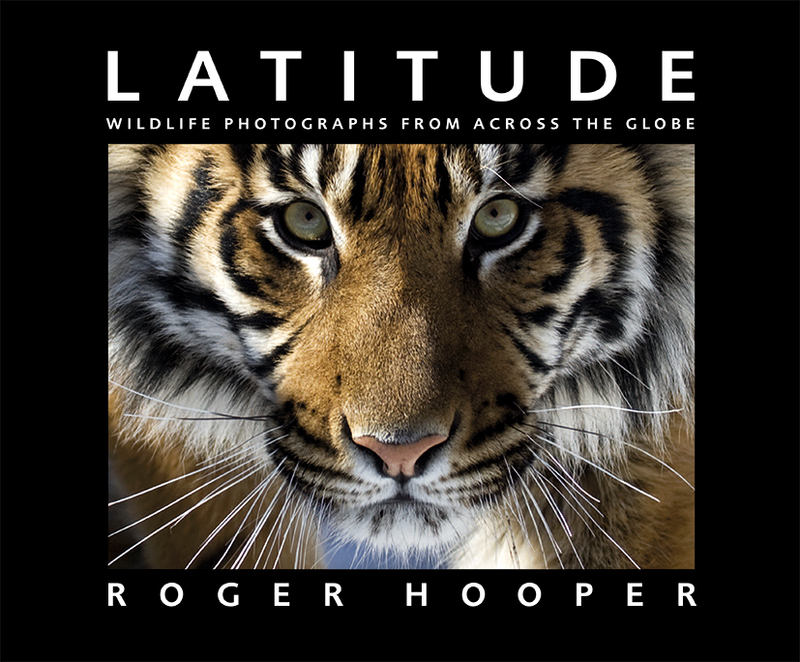 It is titled Latitude, wildlife images from across the globe. 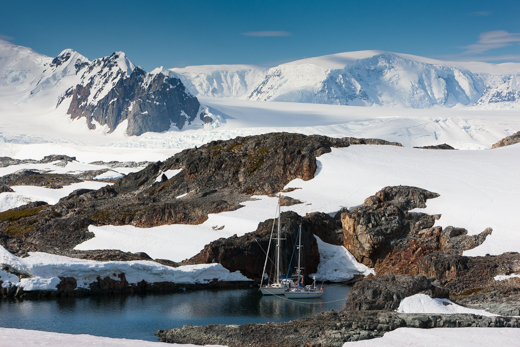 It will include images from the Arctic to the Antarctic, and be published in the spring. It will be ready for my summer exhibition back at the gallery@oxo, on London’s South Bank, which opens on 2 August and runs until 18 August. This is a preview of how the book cover will look. 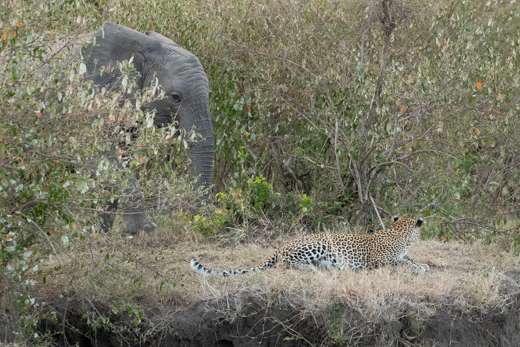 I returned from Kenya at the end of November, and have only now found the time to update my blog with some images from that trip. 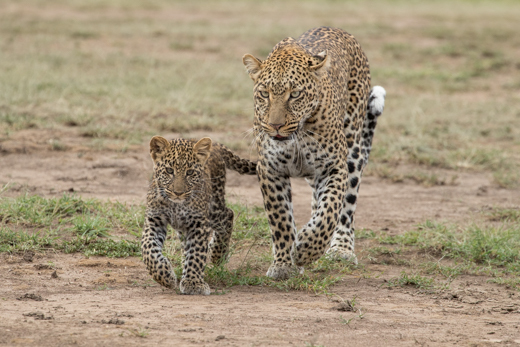 I was lucky enough to spend two days with a leopard Tito with her two fully grown cubs. 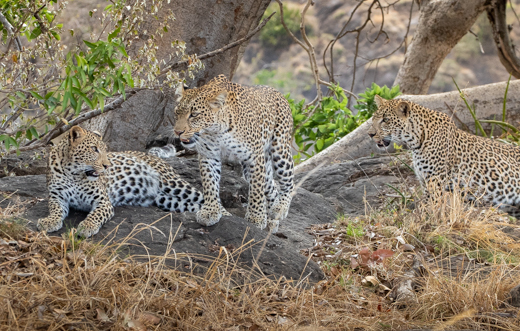 Seeing three leopards together like this is a very rare and special sight. I hope you like the images. Click here or on the image below to see more images from this trip. May I wish everyone a Merry Christmas and a Happy and Healthy New Year. I have just returned from Brazil, where I had a wonderful trip to the Pantanal, a natural region encompassing the world’s largest tropical wetland area. It is located mostly within the Brazilian state of Mato Grosso do Sul and covers an area of approximately one hundred and fifty thousand square kilometres. Renowned for its wildlife, the Pantanal is home to several hundred species of birds, along with jaguar, caiman, giant otter and capybara. 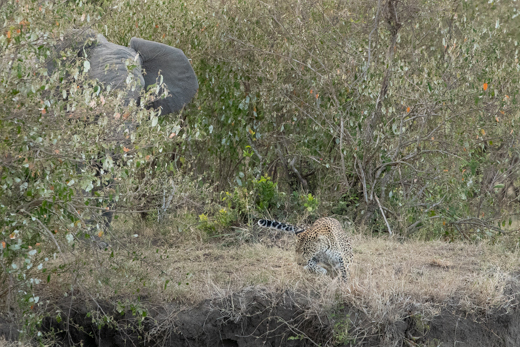 I was fortunate enough to see jaguars every day and the highlight of my trip was witnessing a territorial fight between two males. 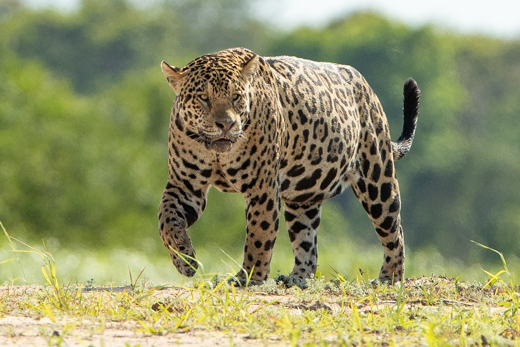 I have never seen big cats of any kind fighting with such ferocity, although I am pleased, not to say amazed, that both jaguars walked away seemingly uninjured. As you will see from the extraordinary photographs, at least one of them could have been seriously harmed. These images tell their own story and I hope you enjoy viewing them as much as I enjoyed taking them. I was also lucky enough to photograph a species new to me – the ocelot. It is a small cat and mostly nocturnal. Early one morning, I spotted what I assumed to be a small jaguar, before realising, with great excitement, that it was in fact an ocelot. The sun had not yet risen, so the photographs are not among my best, but certainly good enough for you to see what a very pretty cat it is. Please click on the link below to view these images, along with those of giant otters, birds and various other animals, including one of a small anaconda wrapped around a caiman that was far too big for it! I wish to extend my thanks to Paula Mason at Exodus Travel who organised my trip, my wonderful guide Alexandre Ribeiro, for his knowledge, experience and enjoyable company, and my boatman, Branco, at Porto Jofre, who did a brilliant job of trying to keep our small boat steady enough to enable me to get the occasional image in focus, which was no mean feat! 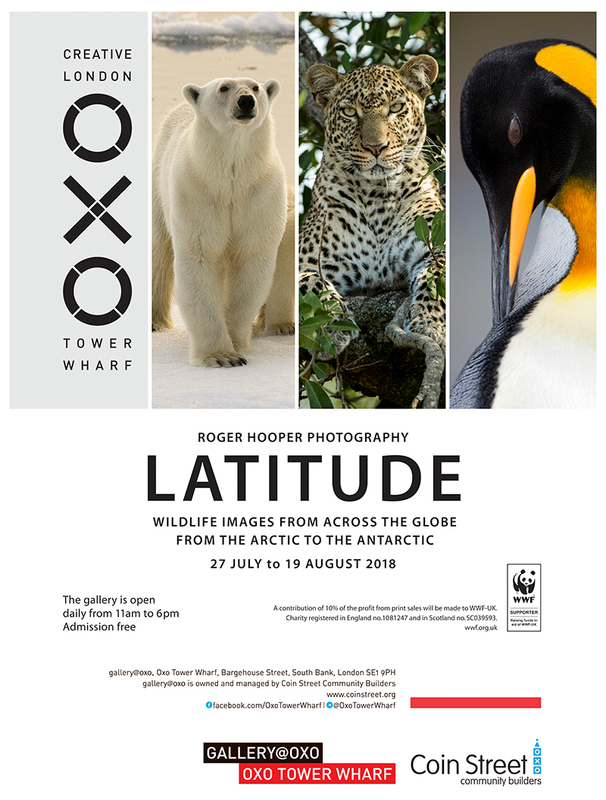 The public opening of my latest exhibition “Latitude” is on Friday 27th July at the gallery@oxo on London’s Southbank. Entry is free and we will be open daily from 11am to 6pm until Sunday the 19th August. 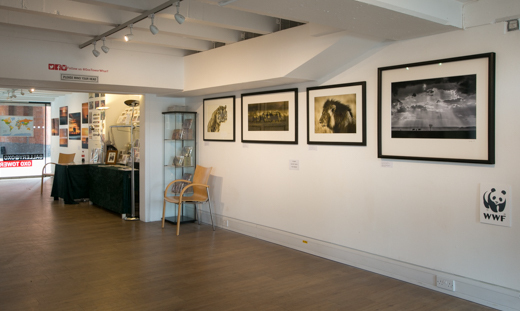 Below are just a few the images included in this exhibition. 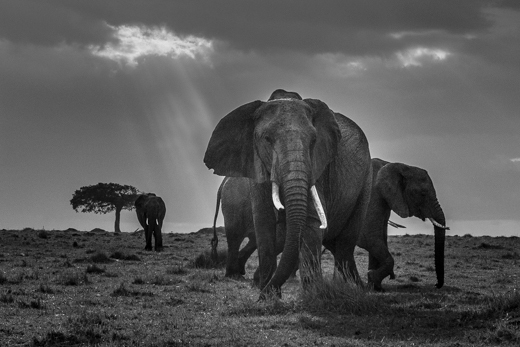 After a rainy January, February turned out to be a dry, hot and dusty month in the Masai Mara. It was quite a struggle keeping my equipment dust free and I had to take great care when changing lenses. On my return I popped in to my Canon service agents Fixation, to have my camera sensors cleaned! It seems strange now to be thinking of this while sitting here in snowy London, where it is -3c. This time I was in the company of my great friend Roberta Bondar, fellow photographer and Patron of my charity Hoopers Africa Trust. As always, it was a great pleasure and lots of fun. 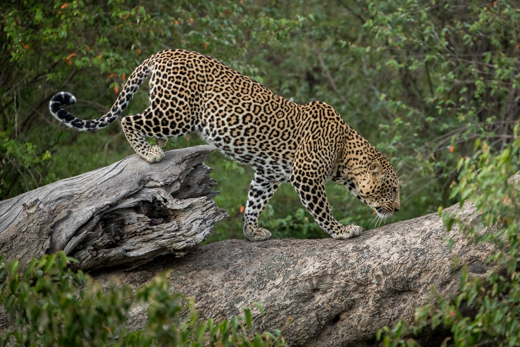 I returned with some great leopard images. of Siri, Kabosa, Bahiti and Fig, along with some of their cubs, but for me the highlight was spending time photographing the Eurasian roller, a migratory visitor to the Mara. While not quite as ‘showy’ as the native lilac breasted roller, it is beautiful all the same. Plenty of new images to consider for my 2018 exhibitions. 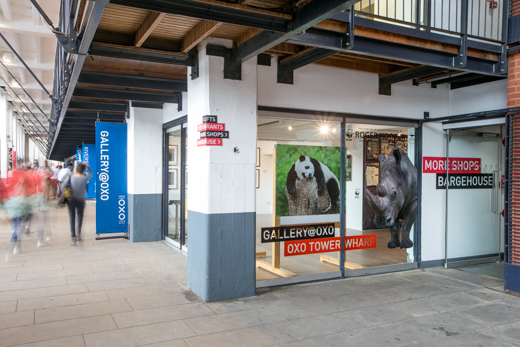 I hope to see many of you back at the Oxo Gallery for my summer show, which runs from 27th July to 19th August 2018. Click here or the image below to see more images from this trip. Click on the image to view more images. 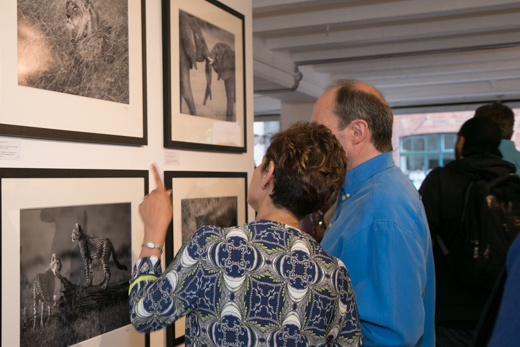 I am honoured once again, to have been invited by Margot Raggett to contribute to the next in her series of books; Remembering Great Apes, following the success of her previous titles Remembering Rhinos and Remembering Elephants. 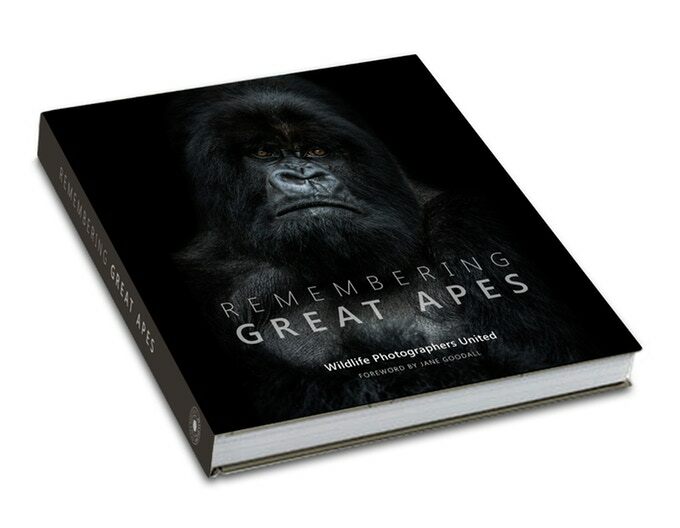 Remembering Great Apes will be a beautiful coffee table book, full of images donated by many of the world’s top wildlife photographers and will be published on October 15th 2018. 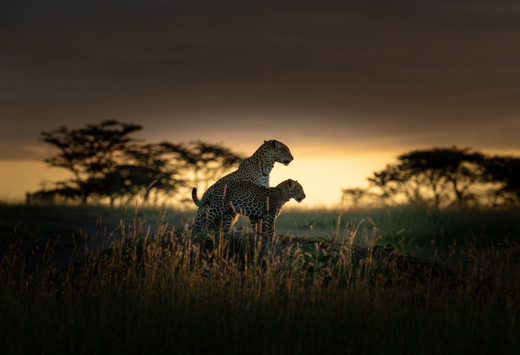 This will be the third in the Remembering Wildlife series which was created by wildlife photographer Margot Raggett after she was moved to take action upon seeing a poached elephant in Kenya. 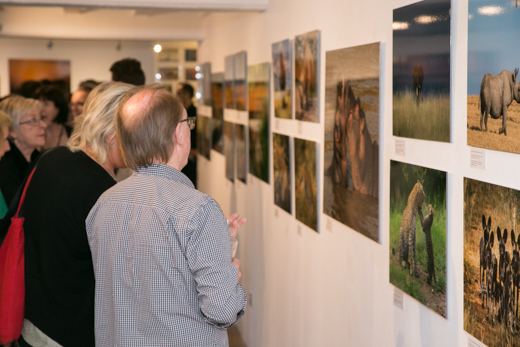 Her mission is, through images donated by top wildlife photographers, to raise awareness of the threats facing various wildlife species and then through sales of the books, funds to protect them. 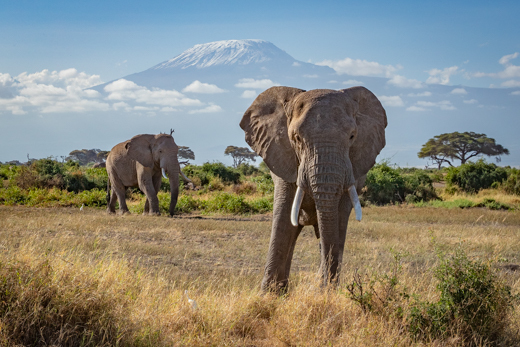 Her first two books, Remembering Elephants and Remembering Rhinos, were both funded through Kickstarter campaigns (Elephants and Rhinos ) and were highly acclaimed. They have so far raised more than £300,000 between them for conservation and this is all thanks to Kickstarter! 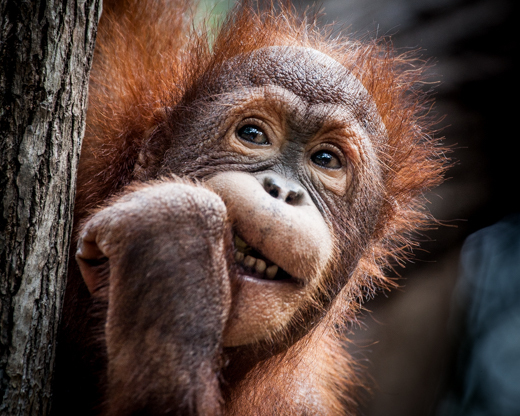 This year’s book will have a foreword by famous chimpanzee conservationist Dr Jane Goodall, DBE and will be edited by world-renown great ape expert Ian Redmond OBE. The same art director and designer are in place and the printing will also be in the same fine art house in Italy as the previous two books. I had an excellent 10 days in Kenya recently with my friend and guide Paul Kirui. Thanks to Kicheche Bush Camp & Mara Explorer for, as usual, looking after us so well. 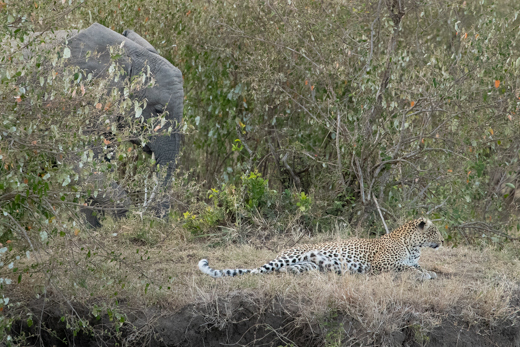 Some great leopard sightings in both The Masai Mara & Olare Orok Conservancy, especially the large male below. 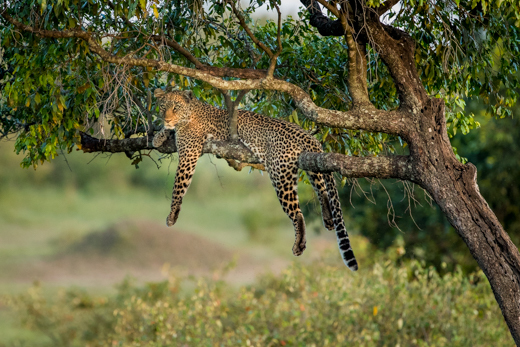 Male leopards are notoriously shy yet this was one of the most relaxed males I have photographed in a long time. I also had an encounter with some very young hyena pups, who would have thought they could be so cute, they are more like bear cubs. A Happy Christmas to everyone and Best Wishes for a Happy & Healthy 2018. I hope to see many of you back at the Oxo Gallery for my summer show, which runs from 27th July to 19th August 2018. Click on the image to see more images from this trip. I am delighted to have just received my limited edition copy of the Remembering Rhinos book. It will be launched at the Royal Geographical Society on 1st November. There will be an exhibition of the photographs from the book at La Galleria, 5b Pall Mall, London, SW1Y 4UY from 30th October until 11th November. 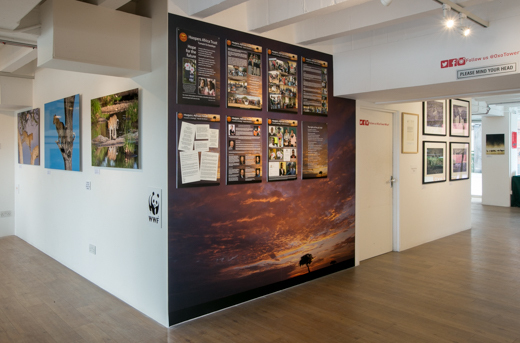 Images for the book and the exhibition have been donated by 65 of the leading wildlife photographers from around the world. Below is a short video of me opening my limited edition book, showing just how beautifully it has been produced. Standard editions of the book, which are equally beautifully produced, will be available for £45. 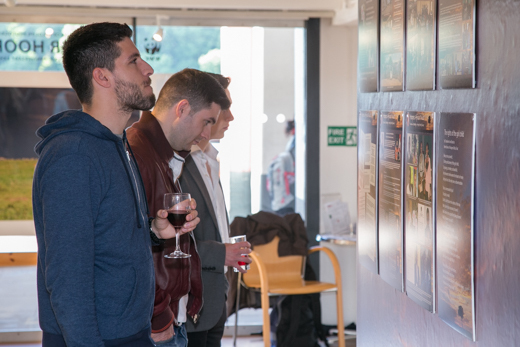 A few of the 50 limited edition books are still available, for details of how to purchase and for information about the exhibition, click on the link below. 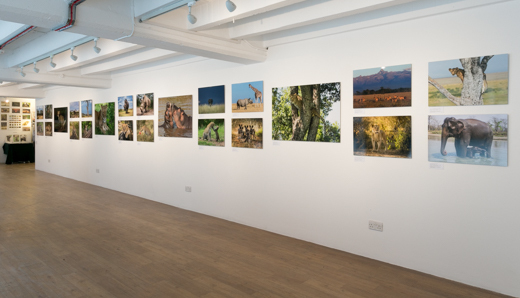 The 50 limited edition books are each signed by Virginia McKenna OBE, co-founder of the Born Free Foundation and come with a signed photograph of my image “Africa’s Heart”. I have just returned from our biennial trustees visit to my Charity, Hoopers Africa Trust Kenya in the Masai Mara. The Charity provides education to disadvantaged girls in Kenya. See www.hoopersafricatrust.org for more information. Whilst there I was able to allocate some time to my photography. August is not renowned as being a time of rain, but we were subjected to some incredible down pours and storms. The rains very quickly raised the river levels which made the Wildebeest crossings more daunting than usual and stranded a pride of Lions on the bank, not wishing to risk the fast flowing waters. 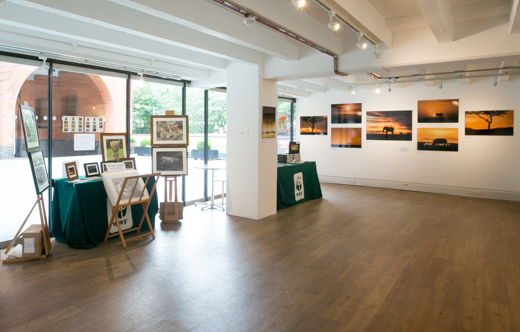 My 10th Anniversary exhibition at gallery@oxo, closed on Sunday August 20th, we had a staggering number of visitors through the door, more than 19,000 people over the duration of the exhibition. Thanks to all who visited and to those who helped make it such a great success.